Kim and Mike’s wedding was one of the most genuine, thoughful, heartfelt weddings I’ve had the privilege of photographing. The bridal party was composed of their 3 siblings on either side, and at the beginning of the ceremony each took the turn to speak & give a little insight into Mike & Kim. It was the perfect way to kick off a wedding that wasn’t just about ticking boxes, googling speech jokes, and pageantry for the sake of it. Nope – everything had it’s place and reason, every word spoken was considered and well placed – and the party was fantastic because of it. 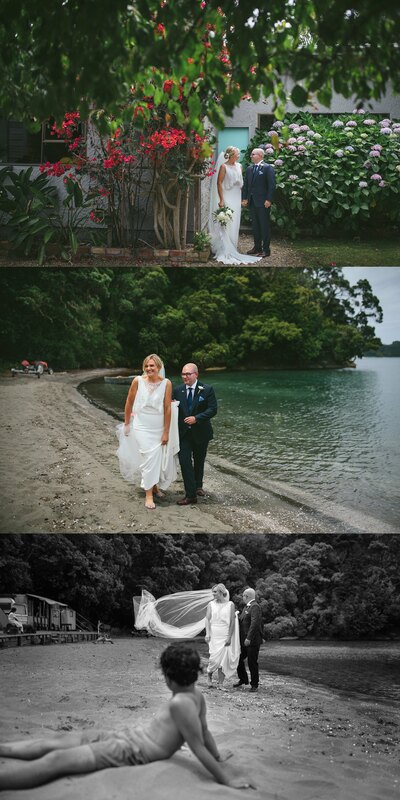 Kim & Mike have the most infectious laughs – and they shine through so well in the images. They also have the (dubious?) honour of being the first EVER wedding in which a “signing the register” image actually makes the blog. Normally a fairly mundane tick-box shot… but when a gust of wind threatens to invalidate your legal husband & wife status… that shot is staying in! Halfway through the reception we managed to sneak outside for a bit of stunning golden light as the sun made it’s last hurrah (we TOTALLY recommend this to everyone – even just as a way of taking a moment for the two of you away from the whirlwind of the reception & being in the present moment). This is just the tiniest preview of the many, many more photos still to come … enjoy. 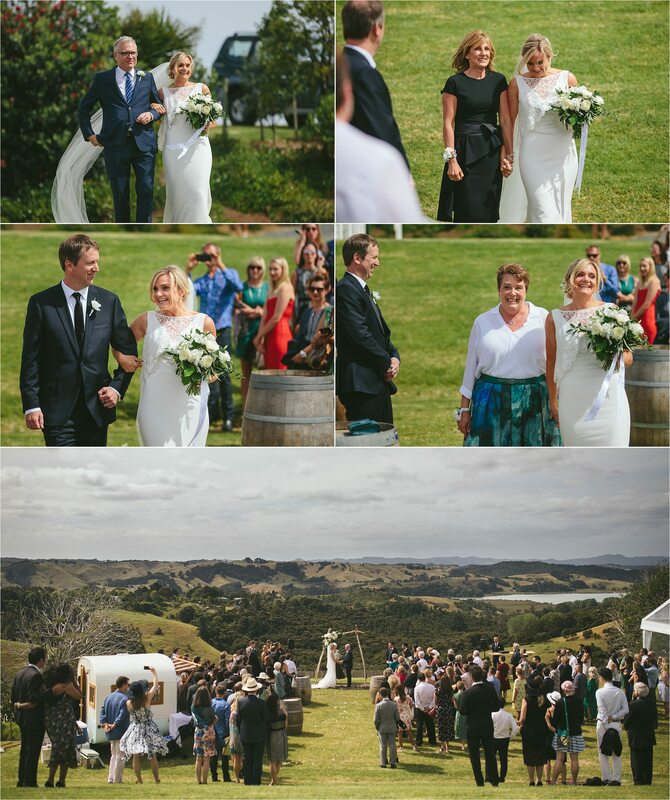 If you’ve enjoyed Kim & Mike’s Mahurangi wedding photos – be sure to leave them a comment in the box below. We know they’ll be stoked to hear from you!